The Suraj village in the Mehsana district passed a ban on use of mobile phones by unmarried women earlier this month. 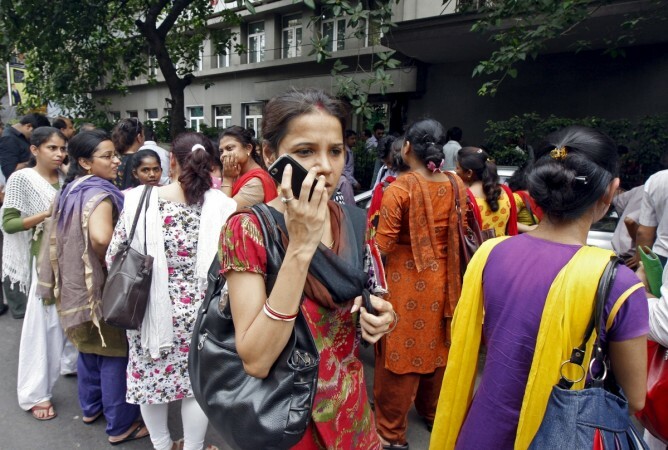 A village in Gujarat, the home state of Prime Minister Narendra Modi, has banned single women from using mobile phones and ordered a fine of Rs 2,100 for defaulters. The ban in the Suraj village of Mehsana district, comes despite Modi's extreme efforts for women's empowerment and to make the Digital India campaign a success. But, the village council deems the technology a "nuisance to society." The members of the village council passed the ban Feb. 12, which rewards an informer Rs 200 for helping trap anyone who violates this diktat. If a relative wishes to speak to a girl, the rule permits her parents to lend her their phone. "Why do girls need cell phones? Internet is a waste of time and money for a middle-class community like us. Girls should better utilise their time for study and other works," Suraj village sarpnach Devshi Vankar told Hindustan Times. According to Venkar, the decision was welcomed by the villagers. Suraj is located 100 km from Ahmedabad and has a population of 2,500 people belonging to different castes. The ban is likely to be imposed in other parts of north Gujarat with support from the Thakor and other OBC communities. The ban on mobile phones for unmarried women follows a prohibition imposed by the Thakors on consumption of alcohol by men. "Community leaders felt that just like liquor, the use of mobile phones by unmarried women was a nuisance to society," Venkar told AFP in a separate statement.